Nearly everyone is familiar with timelines. A timeline is a chronological listing of historical events which happened during the span of a lifetime, a kind of high level view of a person’s lifetime condensed into a single chart. They are often used in genealogy books and most commonly include birth, marriage, children’s birth dates and death dates as well as other major historical events. Timelines can be a powerful tool for understanding your ancestor’s place in history. They help to focus on the major events your ancestors lived through and put these events into historical perspective. Even if your great grandfather did not fight in World War I or was not poor during the Great Depression, these events had a significant impact on everyone who lived through them and almost certainly shaped his life in profound ways. 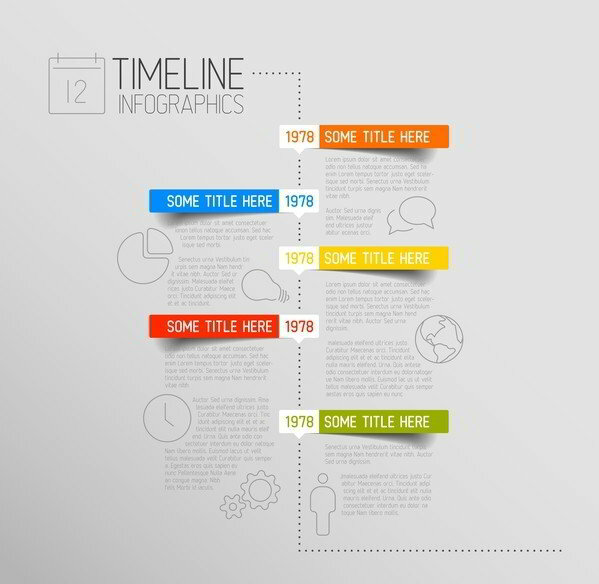 Timelines can aid your research by identifying records you did not realize could be pertinent. They can help you identify errors in your research by revealing events that could not have happened, such as a 5-year old with children or an infant fighting in a war. They can also help guide you to holes in your research and be really helpful when writing a biography or obituary. Where can I find tools to create my own timelines? You can choose to either use the timelines as the tools generate them or pick and choose the data provided to create your own custom timeline. I prefer to collect data from multiple sources and combine them to create a time chart that is most meaningful to me. Timelines can be an interesting supplement to your genealogy research. Aside from their obvious benefits to your genealogy research, these charts can help you gain a better understanding the world in which your ancestors lived. You can learn a lot from seeing the wars, epidemics, technology advances, economic booms and busts and famous people who lived during the time of your ancestor. It allows you to put their lives into historical context so much so that you may never see them the same way again.